"I asked my son once who was his favorite teacher and he couldn’t name just one! How fortunate we are to have you all to care for and teach him." 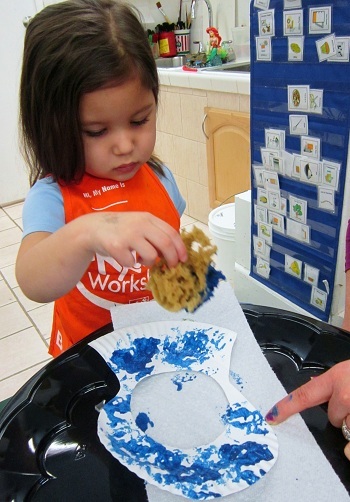 “Letter O is for Octopus Week” was Outrageous, Out Of this world, and Obviously Outstanding! Read on below to learn about the fun that was had and learning that took place! Monday began with the students’ shares. Some of the highlights included Oranges, Octagons, Overalls, Olivia dolls, Origami, and Of course, many Octopus and Ocean-themed items! Jellyfish, sharks, and several Nemos made their way in which only helped further enhance the Ocean conversation! For their morning work on Monday and Tuesday, the students practiced identifying the letter O in their writing and tracing activities! Later in the afternoon on Monday and Tuesday, the students had some fun getting silly with the Letter O as they created their lists but also BECAME O’s! Take a look below! Tuesday afternoon was all about Valentine’s Day! 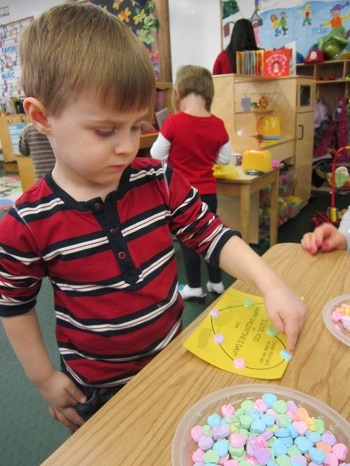 The students selected a lucky person (or people) as their valentine then added tiny conversation hearts to the valentine for some extra pizazz. Here is how they turned out! 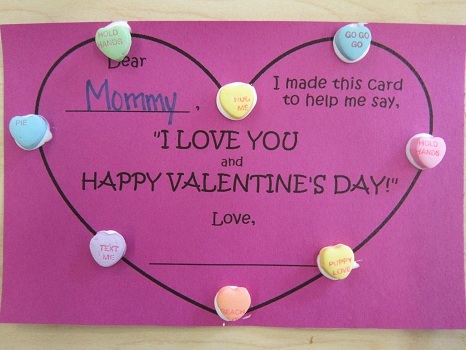 It was clear from the smiles on the parents’ faces at pick-up time that the valentines were a huge hit! 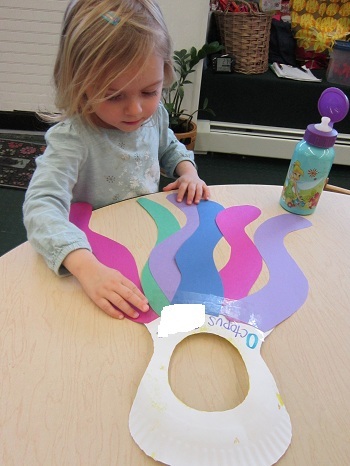 By Wednesday, Octopus was at the forefront as the students created their first letter O craft of the week – an Outrageous Octopus! 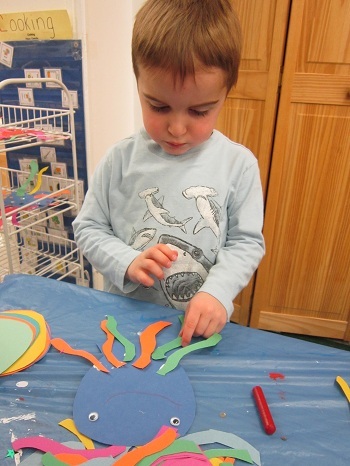 Starting with the head of the octopus, the students used glue to add the arms of the octopus. Do YOU know how many arms an octopus has? (Hint – OCTO-pus has OCHO legs!) If you said, “Eight!” then you are correct! One by one, the arms of the octopus were added. Next came the eyes and a big smile and finally some sparkly sequins! Here is how they turned out – Pretty Outstanding right? 1. Octopuses are extremely bendy because they do not have any bones like people. 3. Octopuses are AMAZING hiders! They can change the color of their body to blend in with their surroundings (camouflage). See for yourself! WOW! Isn’t that AMAZING? Did you know that octopus was there? The students decided that the Octopus must be the best “hider” in the entire ocean with that talent! To test this idea, the teachers asked the students to search and find the octopuses in the following well-known clip! The students had such a great time singing along and shouting out, “OCTOPUS!” each time the ocean creatures flashed on screen! In total, the octopuses appear 11 times! The students concluded that they must not have been camouflaging while dancing with all the other ocean friends! Enjoy! 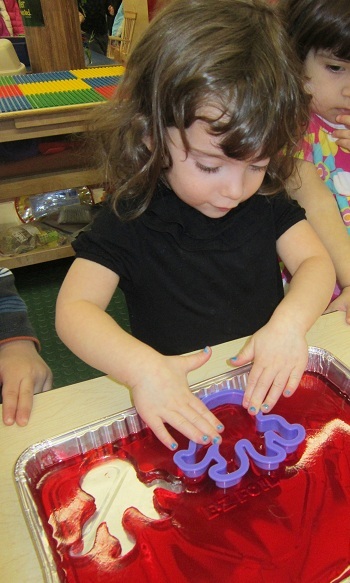 To help discover just how flexible and bendy octopuses actually are, the students mixed together and made some jiggly Jell-O jigglers in the shape of, you guessed it, an octopus! Just as the students were about to get started, there was a knock at the door! 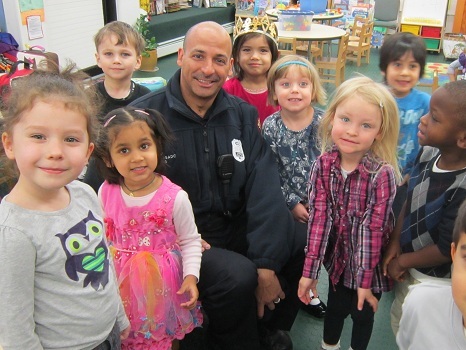 The students were paid a visit by our favorite Jersey City Police Officer, Officer Tosado! Always in the neighborhood, Officer Tosado decided to pop in to say “Hello” to everyone at PPA! It did not take long for the students to realize that Officer Tosado begins with the letter O! The students spent some time catching up with Officer Tosado before he headed out to patrol the city. 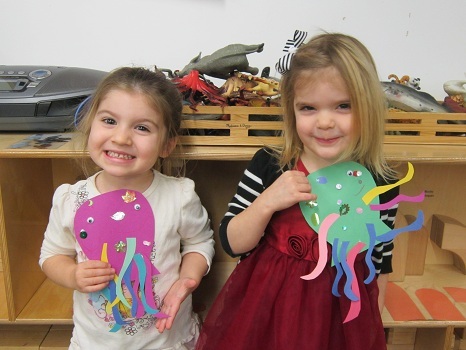 The students got back to work on their Jiggly Octopuses! After a few hours in the refrigerator, the Jell-O had set. 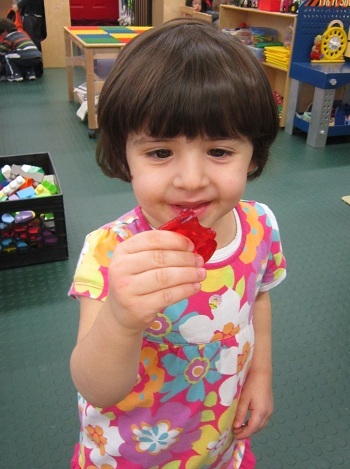 Using a cookie cutter, the students punched out Jell-O in the shape of an octopus! Each student and a partner split a jiggly octopus! As you can see, they were Obviously enjoyed! On Thursday afternoon, the students began their new unit in Spanish class – La Ropa (Clothing). Here is the vocabulary the students discussed during Letter O week. these are the clothes that we wear! 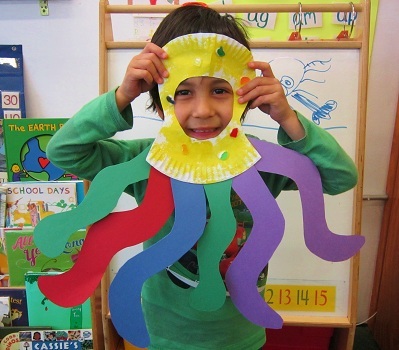 The strangest thing happened at PPA on Friday – the students arrived as children but left as OCTOPUSES! Ahhhhhh! How did that happen? Take a look below to find out! What beautiful Octopuses the students make! 🙂 Well, that is all for “Letter O is for Octopus Week”. As always, thank you for reading! Have a fun and safe weekend! Next week the students will be learning all about the letter P. As a way to make letter P week a little more exciting, we ask that the students (if they wish) come to school dressed in “costume” as their favorite of the following P words – a Prince, a Princess, or a Pirate! Students are welcome to come dressed up every day that they attend school. Thursday and Friday will be Pajama Day(s) where students are encouraged to wear their favorite pajamas to school. Feel free to search the 2011 P Week photo gallery to get some ideas and see what the students arrived wearing last year. The “costume” can be as elaborate or simple as they wish; we just ask that it is practical for the school day.